This potent concentrate is an anti-aging cocktail, packed with active antioxidant and anti-inflammatory ingredients that nourish the skin while visibly reducing the depth of fine lines and wrinkles. SUPER ANTI-AGING SERUM diminishes inflammation– a primary cause of aging and skin aberrations, while replacing the skin’s moisture reservoirs using a high-quality complex of long- and short-chain Hyaluronic Acid. Containing special extracts of Purslane and Skullcap and other strong anti-oxidants, which support the regenerative power of the cells by increasing Telomerase activity. 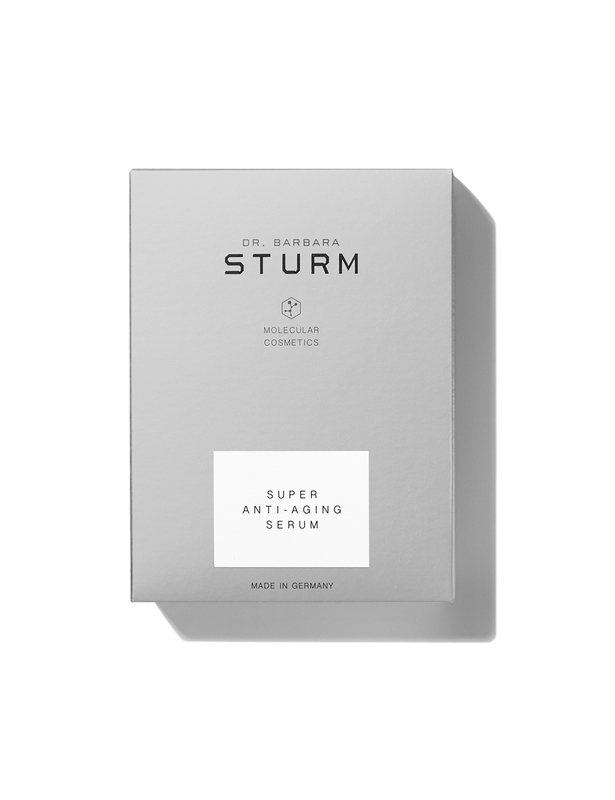 The SUPER ANTI-AGING SERUM provides a smoother and more youthful appearance with a clearer complexion. The anti-oxidative power prevents wrinkles that emerge from free radicals and daily environmental stressors and counteracts the existing damage. 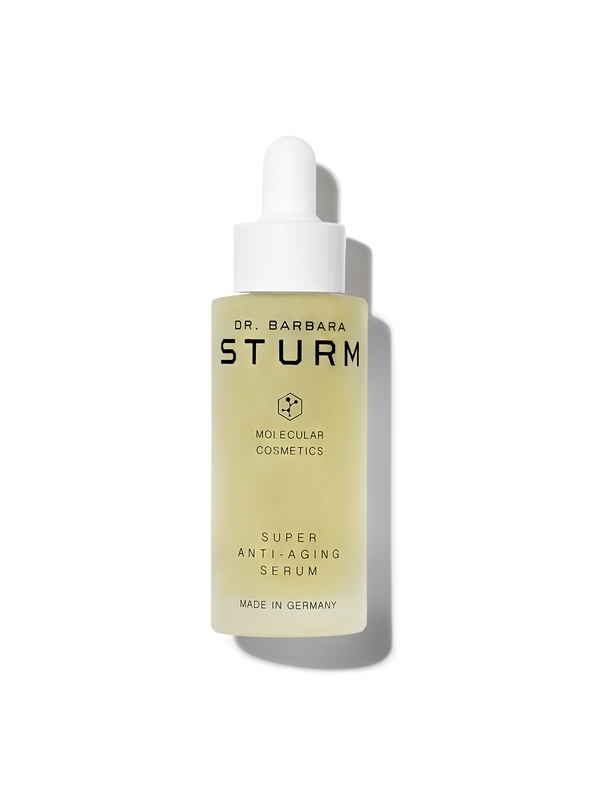 This serum unfolds its amazing effect with a regular application over several weeks. 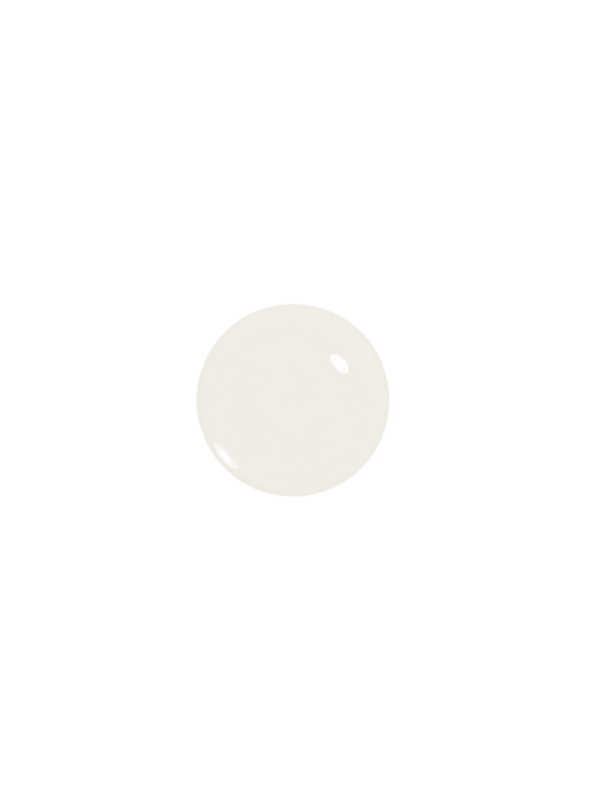 You will notice that irregularities are reduced and that the skin is also firmer. While our existing hyaluronic acid serum, strongly fills up the skin’s moisture depots and therefore is the ideal prevention of wrinkles that emerge from lack of moisture, the new serum contains hylauronic acidas well but additionally a big portion of strong anti-oxidants, and thus is a strong cure for done damage and an ideal prevention of wrinkles that emerge from free radicals, environmental stressors and compromised repair mechanisms in aging skin. 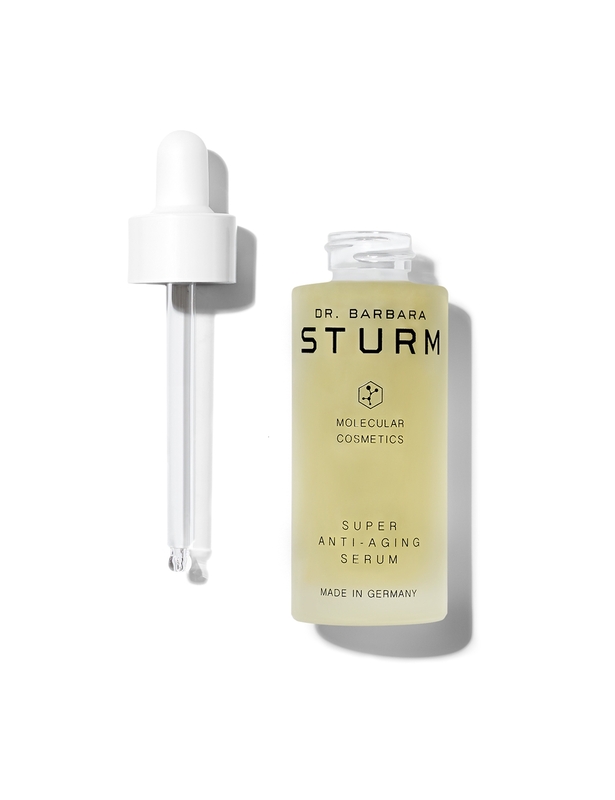 The new Super Anti-Aging Serum therefore is the perfect skin treatment before flights, sun exposure… etc., while the serum with pure hyaluronic fluid is ideal during and after flights and sun exposure because it helps the skin keep up its moisture levels. Both serums are perfect complements, one is super rich in moisture and has some additional protection through telomerase, the other is super rich in protection and regeneration and has some additional moisture. Both contain short-chain hyaluronic acid molecules that give an instantly visible freshness boost.